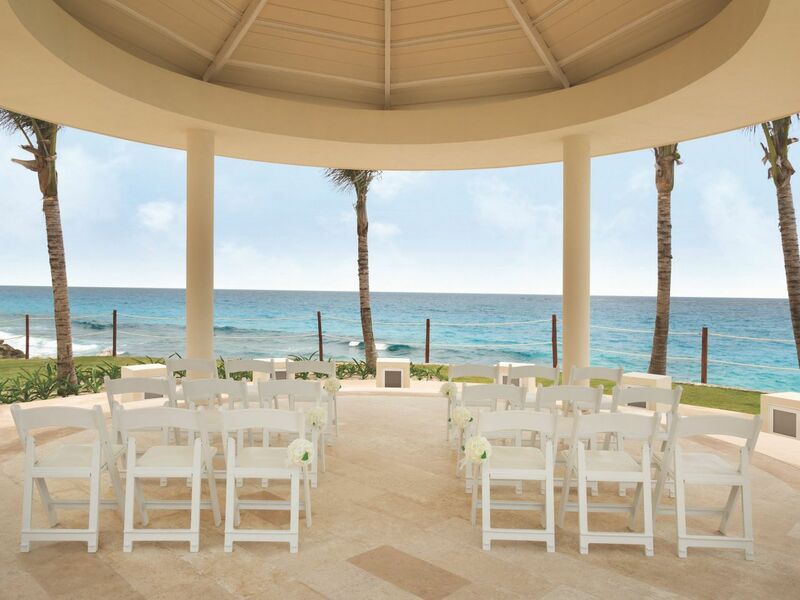 Ideally situated on Mexico’s Yucatan Coast, Hyatt Ziva Cancun offers everything you need as you create memories of a lifetime, including the 6,000-square-foot Elements Ballroom and rooftop Punta Vista Terrace. 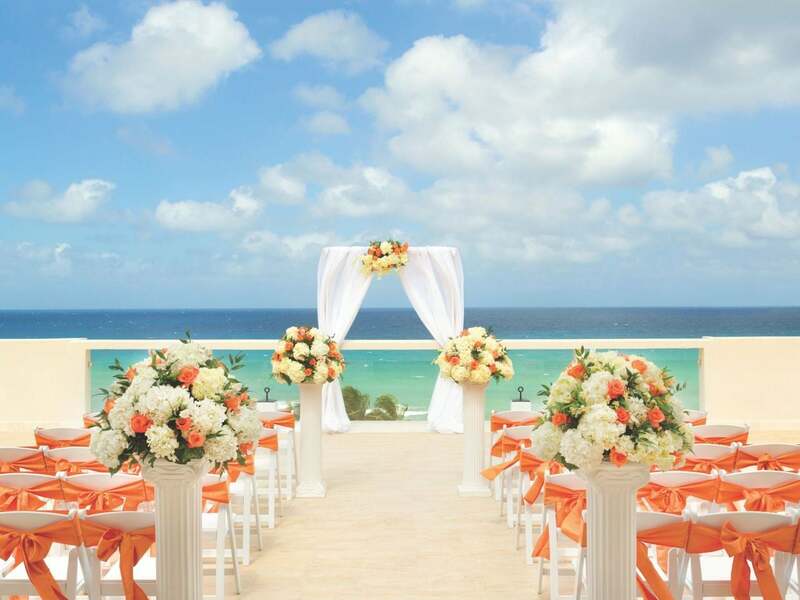 If you are looking for an outdoor wedding, the Sky and Cliff Gazebos have some of the best views in Cancun. Our knowledgeable team of wedding professionals attend to every detail, with expertise to handle Christian, Jewish, Hindu, Islamic, Asian, non-denominational and LGBT ceremonies. 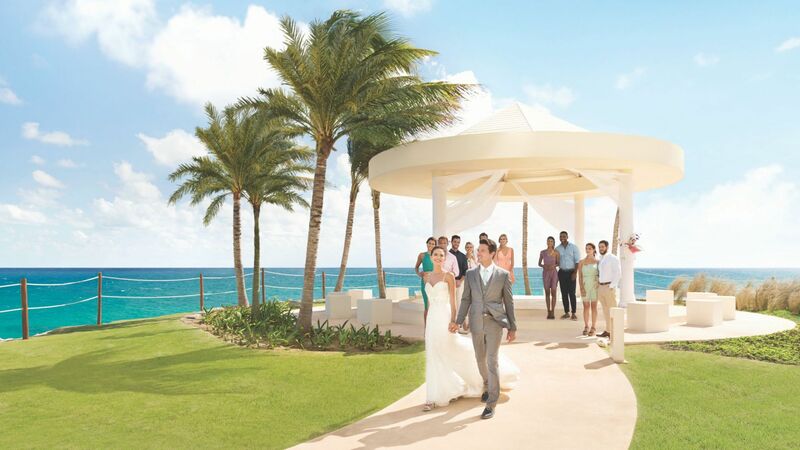 We specialize in all-inclusive experiences that put a premium on value and convenience - so your wedding will delight your families and guests as well, all with no unexpected expenses. 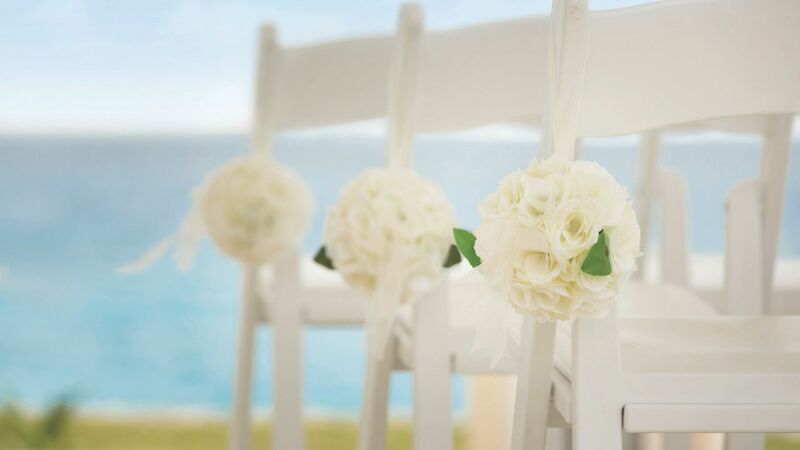 We've created a variety of wedding packages that allow you to customize nearly every detail of your dream wedding. 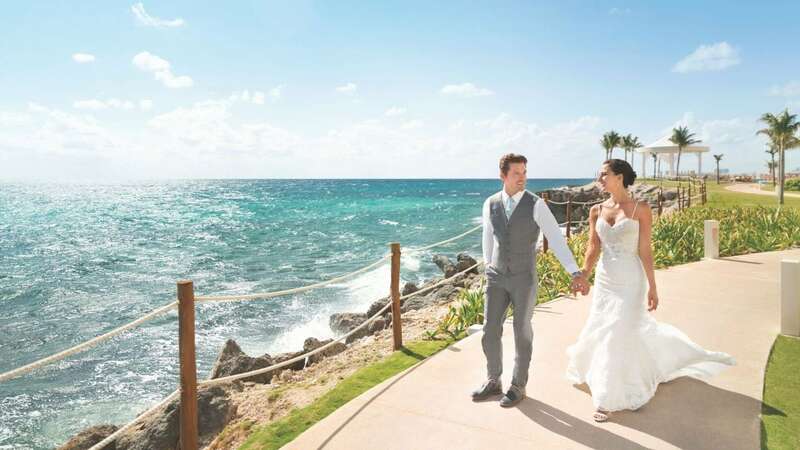 Hyatt Ziva Cancun also offers complimentary honeymoon packages with a sweetheart cake for two and sparkling wine in your suite when you arrive. Bring your recent marriage certificate and mention you’re on your honeymoon to make the most of your stay. Two-night stay for only $500 for two guests It’s like getting your preview for free! You and a guest can get a preview of your ideal destination. Plus, get a $500 credit toward your wedding with us. Big Day Preview applies to US and Canada adult residents only. Credit is valid for a minimum $5,000 wedding program. Limit one Big Day Preview credit per wedding. Available Monday to Thursday. Wedding must be held within 18 months of travel. Both guests are required to stay in the same room. Services such as spa treatments, excursions, specialty foods, liquor items and special services are subject to additional fees. Does not include holidays or blackout dates. Suite category restrictions do apply and vary by resort. Additional terms and conditions may apply. With a Lavish & Opulent package the couple will receive a complimentary night when celebrating their anniversary with a minimum 4 night stay. Restrictions apply. Location and ceremony time confirmed upon arrival. Offers valid through December 15, 2018. Certain services, amenities, food and beverage items are included for only guests staying in select room categories. Services such as spa treatments, excursions, specialty foods, liquor items and special services are subject to additional fees. Not all amenities and/or services are available at all resorts. Additional terms and conditions may apply. Also available for purchase for $99. Proof of recent marriage date must be presented at check-in. Blackout, weekend, holiday and peak season surcharges may apply. Rates and promotion are accurate at time of booking and are subject to changes, exceptions, cancellation charges and restrictions. All advertised savings are reflected in rate. Rates are subject to change based on currency fluctuations. Not responsible for errors or omissions. Additional higher priced packages available. Valid for new bookings only. Only combinable with select promotions. Other restrictions may apply.